This is quite a departure from Rachels previous album, the classic and one of my albums of 2011, ‘Celilo Falls.’ Whereas that was a sparse stripped down to its barest elements ‘old timey’ feeling album this current offering is anything but, with its full band backing on songs that range from a 1950s country feel to rock ‘n’ roll, to a Gram and Emmylou evoking duet, even including a bluesy rock song! 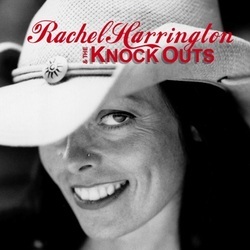 I actually preferred last years album but that doesn’t detract from the quality of this, in fact Rachel deserves a lot of credit for not sitting on her laurels, choosing instead to go in a different direction whilst still predominately within the boundaries of country music. In many ways she has leapt from the first third of the twentieth century into the middle third and just beyond! It’s difficult to comprehend why artists of this calibre are not ‘superstars’ when compared to some of the bland manufactured sounds that pass for modern country music. She is a gifted songwriter, has a beautiful and perhaps even more importantly, full of character, voice that can cope with virtually any type of song, on top of which she is one of the best songwriters in the ‘roots music’ genre. Add to this her superb new all girl band of Alisa Milner on fiddle, Rebecca Young on bass, Moe Provencher on guitar and Aimee Tubbs on drums and this recording really should be a huge success. The album is written, played and sung with all of her usual edginess, with her often soulful vocals going wherever the song takes them rather than her trying to dominate the story and suppress her emotions. These songs are certainly the most diverse of her career to date, including honky tonk, gorgeous country ballads, a little country rock, a beautiful duet with Mark Erelli and even a throwback to the 1950s/1960s girl groups! The album gets under way with the honky tonk/country rock of Makin’ Our House a Honky Tonk with its excellent, chunky guitar sound and then goes straight into He’s My man, a tremendous throwback to the 1950s/60s ‘girl group’ era with the hugely evocative harmonies on the chorus and Rachel’s raunchy lead. Love him or leave him to me is a gorgeous steel guitar led ballad on which Rachel pleads with the ‘other woman’ for her to have a little mercy, whilst Get you some includes a haunting fiddle on a slow moody song about preparing for a romantic evening! I’ll show you mine is the beautiful love song duet with Mark Erelli and there is even some humour on the 1970s throwback Hippie in my house. All ten songs on this album are exceptional in a variety of ways and this experiment with the diversity of sounds has to be declared a huge success and wouldn’t it be satisfying if the record buying public agree! It would be nice to think that it is albums such as this that Gram Parsons was referring to when putting down ‘country rock,’ instead preferring the more coverall term ‘Cosmic American Music.’ If that’s the case he would have loved this superb recording!